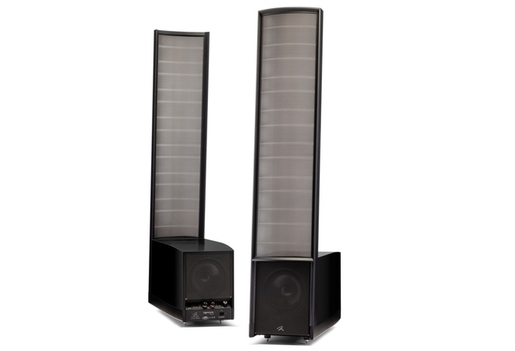 We are now down to our last pair of the Martin Logan Electrostatic 11A speakers in store. Come on in today to have a listen to these phenomenal speakers before they go, or come in to pick up this amazing bargain in time for Christmas! Belonging to Martin Logan’s Masterpiece Series, the Impression ESL 11A reveals an impactful and accurate bass performance with a dual 8-inch woofer system powered by dual 275-watt Class-D amplifiers and honed by Anthem Room Correction technology. The groundbreaking integration of this woofer system with Martin Logan’s signature XStat CLS transducer delivers a dynamic, transparent audio performance—an experience of pure audio pleasure with nothing coming between your music and ears. For more information about the ESL 11A's, head to this products page on our website.